End-product size in the industrial market is becoming smaller while, at the same time, more components are required for new functions. Product designers face design issues due to space constraints. 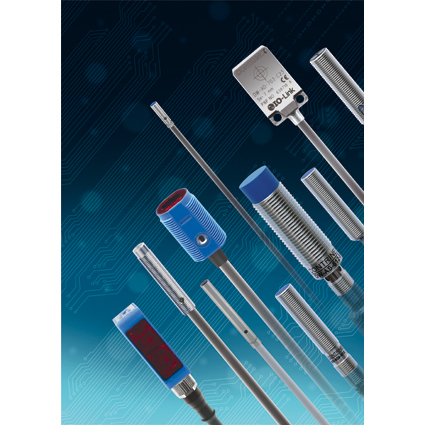 Contrinex Inductive and Photoelectric Sensors are the smallest to-date self-contained miniature sensors on the market. Rugged automobile and industrial applications can be subject to shock, vibration or rough handling that can cause signal interference. Contrinex Inductive and Photoelectric Sensors use single-piece metal housing, which makes them practically indestructible. Additionally, these sensors are compliant to IP67, 68, 69K and Ecolab, which makes them suitable for challenging environments. Detecting clear or transparent objects (e.g., glass, transparent film, liquid, etc.) is extremely challenging. Contrinex Photoelectric Sensors (Ecolab approved) use patented UV technology to detect transparent objects. These sensors ensure transparent object detection up to 1200.00mm range. Automotive and Industrial Automation OEMs require sensors that are resistant to shock, vibration and chemicals. Contrinex Inductive Sensors have a one-piece stainless steel construction. Rated to IP68 and IP69K and sized from M8 to M30, the sensors allow sensing distances up to 40.00mm. Boosting operational efficiencies, IP65-rated Brad® Micro-Push® Connectors offer M12 connectivity at minimized costs. The push-on mating interface reduces installation time, provides excellent seal performance and enables simple blind-mate connections in tight locations. The Woodhead® LED Wide-Area Portable Magnet Light delivers a significantly longer life expectancy when compared to traditional lights and features a heavy-duty magnet for simple mounting. The Watertite® feed-through connector is rated for wet locations, and its rugged design makes it highly resistant to shock, vibration, impact and corrosion. Get increased productivity and cost savings with MX-PTL™ M12 Cordsets. Their quick-and-reliable push-to-lock connections enable faster installation times with an IP68 rating and the same connectivity benefits of threaded M12 connectors. Perfect for factory automation applications when large numbers of sensors and actuators are being installed or updated.